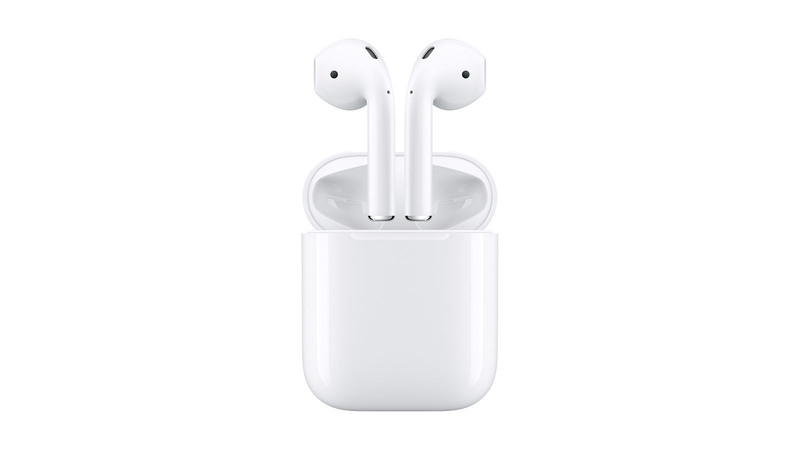 Introduced on September 7, 2016, Apple AirPods feature the company's custom W1 chip for seamless pairing with an iPhone, Apple Watch, iPad or Mac. Utilizing optical sensors and a motion accelerometer, AirPods are sophisticated in that audio automatically plays as soon as you put them in your ears. Similarly, by detecting when AirPods are in your ears, audio also pauses as soon as you take them out. Users can also use just one AirPod at a time, and battery life rings in at a long five hours on a single charge. The charging case included with the AirPods can hold multiple additional charges for more than 24 hours of listening time, making them great for students and travelers.